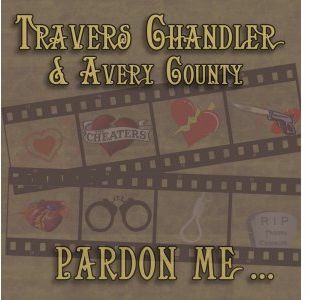 Willis, VA —Mountain Fever Records is proud to announce the release highly anticipated Pardon Me, the latest bluegrass music project from Travers Chandler & Avery County. The new CD has been shipped to radio programmers and retail outlets and is available worldwide today. Travers Chandler is surly a household name among residents of Galax, Virginia where he has lived most of his life. But for those living outside the borders of southwest Virginia, it's possible that the first you heard of him was during the keynote address given by Infamous Stringdusters' Chris Pandolfi at the 2011 World of Bluegrass Conference held in Nashville, TN. 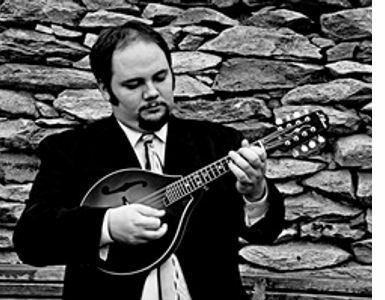 Saturday, May 19th, 2012, at 7:30 p.m., the Carter Family Fold in Hiltons, Virginia, will present a concert of bluegrass music by Travers Chandler and Avery County. Admission to the concert is $7 for adults, $1 for children 6 to 11, under age six free. Avery County came together in 2009 to preserve the legacies of bluegrass music's lost heroes while bringing their sound to new audiences. Members have garnered much acclaim and IBMA accolades after stints with the James King Band, Danny Paisley and the Southern Grass, the Country Gentlemen, Spring Creek, Dave Evans, Karl Shiflett and Big Country, and numerous others prior to forming Avery County. Celebrating the influences of the past, the group is also busily creating new music. Travers Chandler heads up the group with lead vocals playing mandolin and guitar. Backing him will be John Bryan on guitar and vocals, Tom Issacs on banjo and vocals, Merl Johnson on fiddle and vocals, and Eddie Lovelace on bass. Willis, VA -- With the recent query of "should we preserve our music or not", Mountain Fever Records answers with a resounding "YES!" 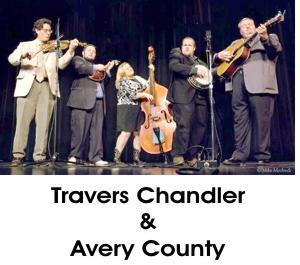 by dipping into the traditional well and signing two of the most powerful artists of our time; Travers Chandler & Avery County and The Heather Berry & Tony Mabe Show.